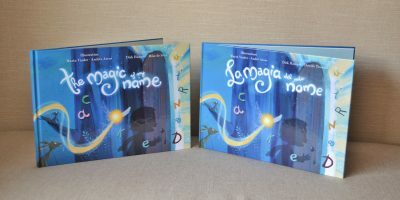 We were sent two copies of the recently published bilingual book from Tim Tim Tom. We chose the English-Spanish version for my five year old who speaks Spanish quite well now, and the English-Italian version for my toddler. There are also many other language combinations to choose from including French, Chinese, Dutch, and German. Fill out the various options. Choose your two languages and insert your child’s name. 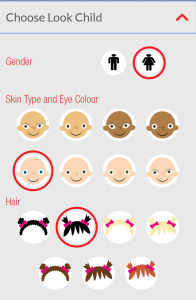 Choose the look of your child, from skin colour to hair style and colour so it really looks like them in the story. Once you are done, add a personalized message and view your book, easy as that! 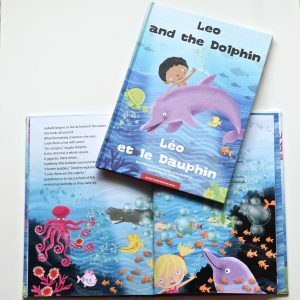 On behalf of TimTimTom, Bilingual Kidspot are giving away 2 copies of this fantastic personalized bilingual book. Simply comment below for your chance to win. 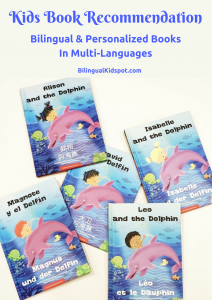 What is “Dolphin” in your child’s languages? What is the funniest language mix up you have heard them say? 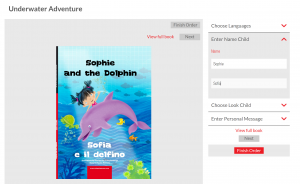 In the meantime head over to TimTimTom to check out what your child’s book would look like. 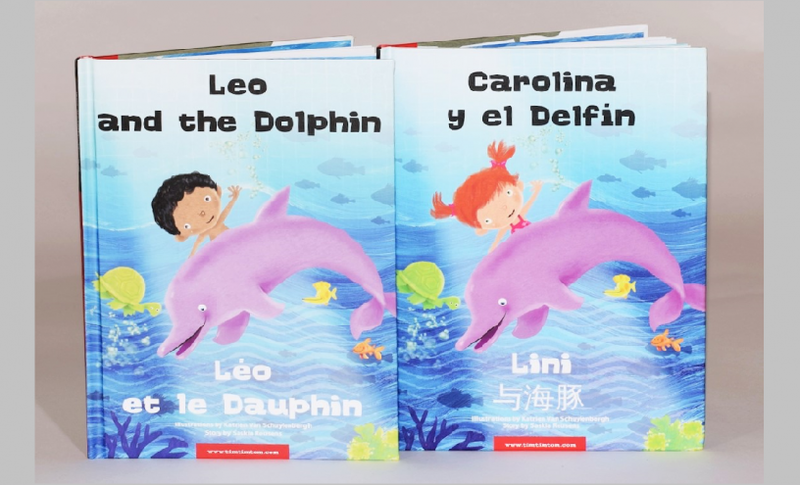 Tell your friends about this exciting personalized bilingual book for kids! My little girl speaks Mandarin (and reads Traditional Chinese) and English. Dolphin is 海豚 (pronounced hai3 tun2). Since I don’t “dumb it down” when speaking to the kids just because they are young, it was funny and gratifying to hear my daughter use adult/professional version of “I’ll handle it/business！” (我處理！）when asserting her toddler independence. My little one instead of saying cola-cao ( brand of chocolate drink in Spain) she says cok! And I have some people turning heads if in a middle of a restaurant and she says mummy I want cok! Lol! My daughter speaks English and is learning German. 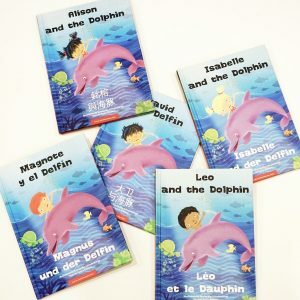 Dolphin is Delfin in German, my daughter would go nuts for this book! 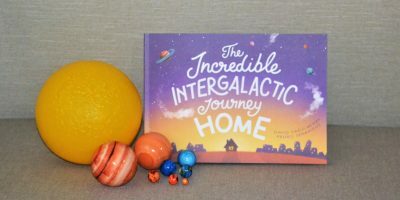 Wow, it would be wonderful to win such a book! My daughter speaks both Italian and German, we are an Italian family currently living in Germany. Moreover, my daughter is crazy for dolphins, she has chosen her brand new schoolbag with a dolphin theme! Dolphin is Delfin in German, delfino in Italian. The funniest word my daughter said is “bauenazione”, a mix between “bau” (German) and “costruzione” (Italian), both meaning “building”. 海豚 is ?In Chinese ( mandarin). The funniest thing I hear her saying all the time is to mix the two languages together, for example she’d say: I 饿了（e le) instead of I am hungry, she’d say Am hungry in Chinese but often stick with I, you, she in English. It’s funny as most adults when they mix mandarin and English, they use opposite strategy , they’d say I am in Chinese and hungry in English if that makes sense. We live in Italy, my children speak French and Italian. My 4 year old would love this book! Dolphin means dauphin in French and delfino in Italian. A funny thing my son says when he mixes languages is “maman mi chauffi il latte!”. My little guy is just 5 months old. I haven’t heard his first word yet! Funniest mix up is when she uses a French word and conjugates a t in English. As in I want to go marcheing to school. Hello, I would love win a German-Arabic version! (Me:German, Dad: Arabic) There are not many bilingual children’s books in Arabic, unfrotunately. Having one with BOTH languages would be just awesome. My child is very little and doesn’t talk too much, but he sometimes coins words which mean the same! such as “nam” for yes in Arabic and the “ja” in German becomes Namja! Our third language is English, since I don’t speak Arabic, so he comes up with “children garden” instead of kindergarten or “Good night Geschichte” for a bedtime story. 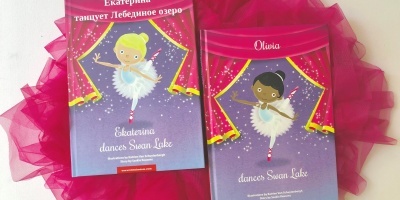 This is such a lovely book I would love to have one for my baby girl She speaks both english -french ( in a langage of 2yo) She is also learning some word in english. I am a tropical Mother born in Costa Rica. Nature is very important for us! Yesterday she wanted to say puerta but her grandma says porte au the same moment She end up by saying porta ? I wanted to say She speakes both french /spanish ? Hello! What a great book. I would love to winn one i Spanish/Dutch as I am Dutch and my husband Spanish. My child mix the words ‘sokken’ and ‘calzetines’. She says ‘sokketines’.